It's been a busy couple of weeks on PlayStation 4, which means we'd be surprised if you didn't have anything to play on the weekend. In addition to the latest series of PS Plus games, we have also seen the release calendar filled to the figurative edge with great new titles, such as Resident Evil 2 and Kingdom Hearts III. I have a port I have done some game too late, just to play a bit of what suits me. Although it is quite different from me, I enjoy the many experiences, but on the weekend I think I really have to sit and polish Resident Evil 2. After beating 13 gentle giants in the Colossus Shadow, I'm ready to finish my game through this beautiful PS4 remake. I also jump in and out of the really pretty good Apex Legends. I'm pretty horrible about that, mind. Now that I have taken care of Kingdom Hearts 3, I am more excited to come back to save Raccoon City than ever in both RE2 and RE1, despite being one of my most anticipated games last year. 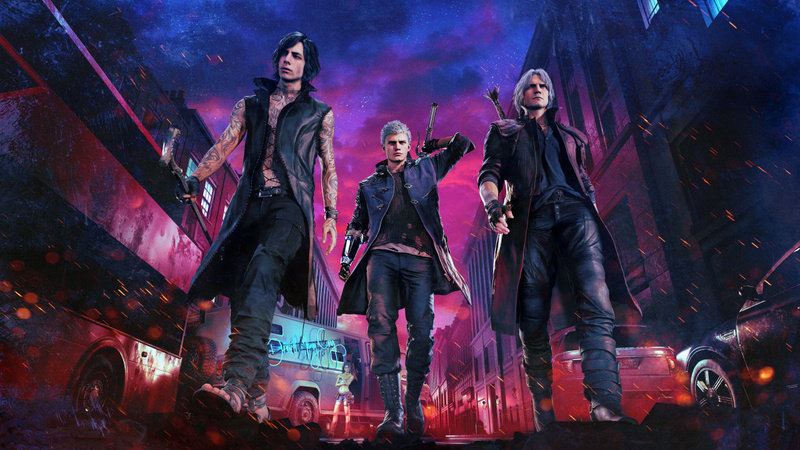 Oh, and try out the DMCV demo all while studying for mid-term. A long CUH-RAZY weekend. After my first review of Kingdom Hearts 3 earlier this week, my next goal is to try to check everything out of his huge task list while pursuing his Platinum Trophy. Though I might be talking rather (im) patiently to Metro: Exodus, that doesn't mean I don't have anything to play. Between Call of Duty, Battlefield, NHL, the surprisingly fun Apex Legends, and also beta to Division 2. I have many opportunities to reach when it comes to games right now! Jacob Hull, Reviewer  I finished my first play of Resident Evil 2 as Claire and I do "2nd Run" on the weekend as Leon. I think this remake is an absolute triumph that does what I thought was impossible. Both respect the original and maintain the sense of confidentiality while developing on it to create something new and fresh. My partner plays Spyro this weekend, so TV is her! I will catch up with my Steam backlog and play some Splatoon 2. Another great WAYP this week with lots of variation in our response. What games do you play on the weekend? Please let us know in the comments below.